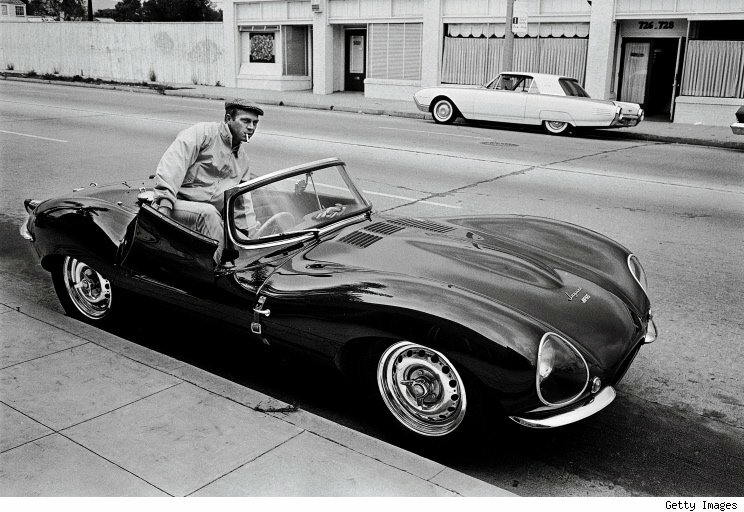 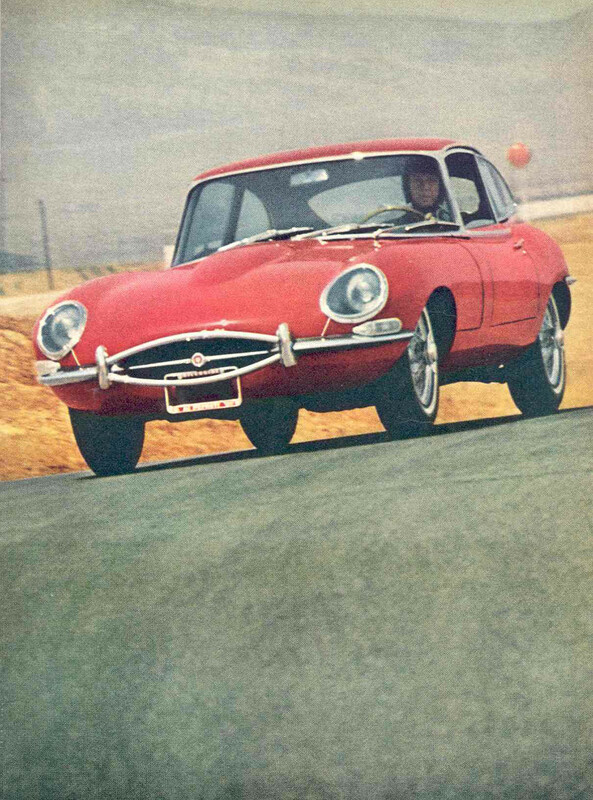 Steve McQueen hopping in his Jaguar XKSS-- 1963. 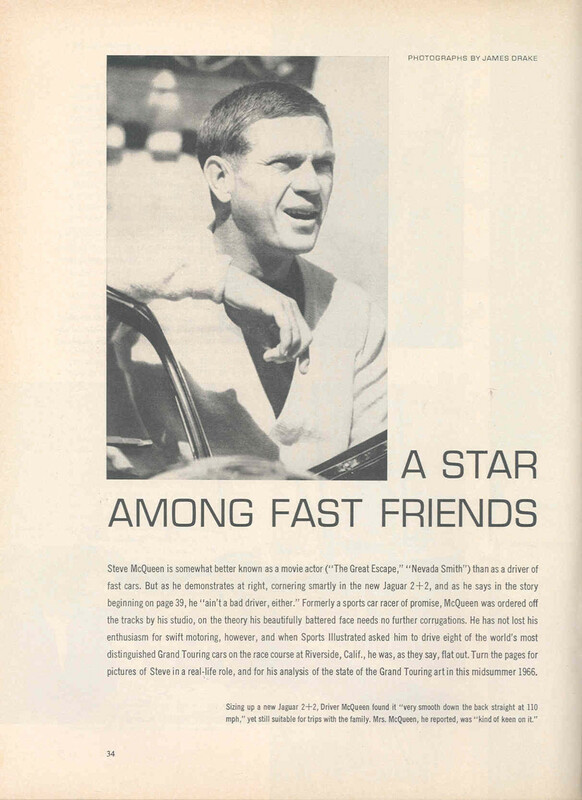 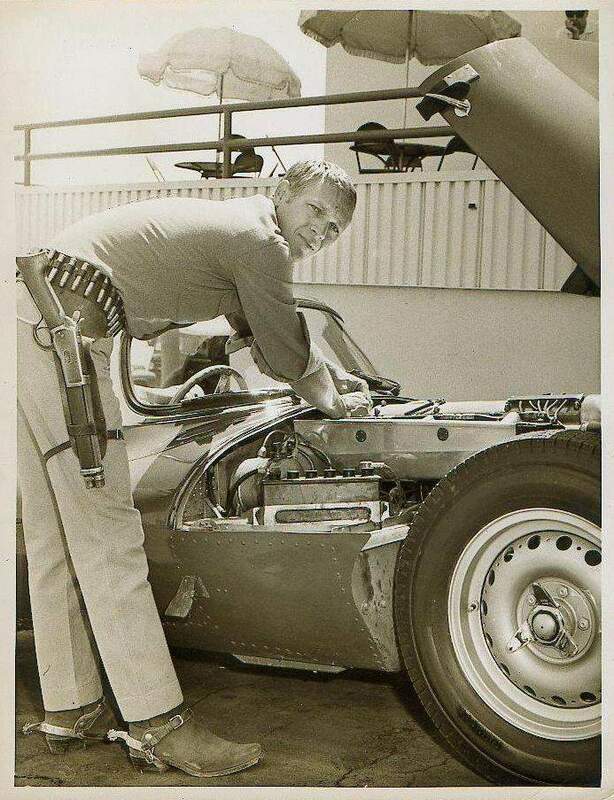 Steve McQueen tinkering between shooting scenes for Wanted dead or Alive. 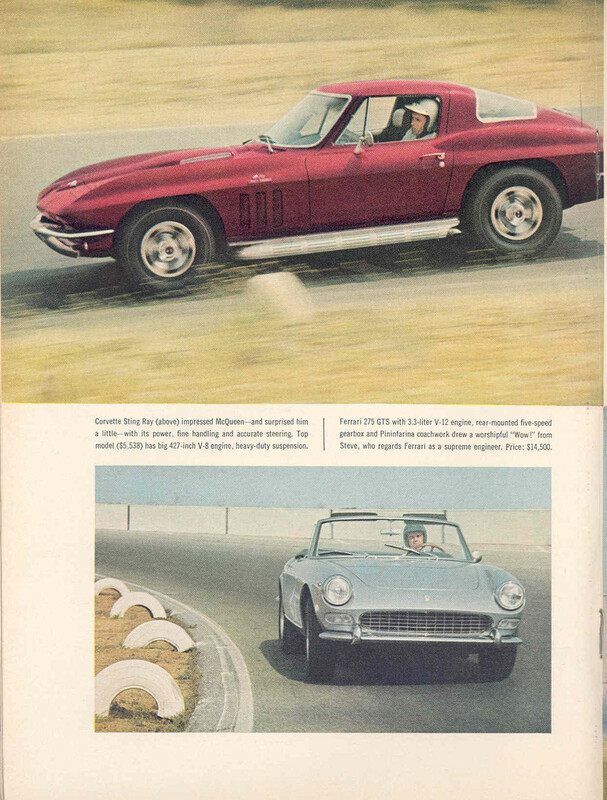 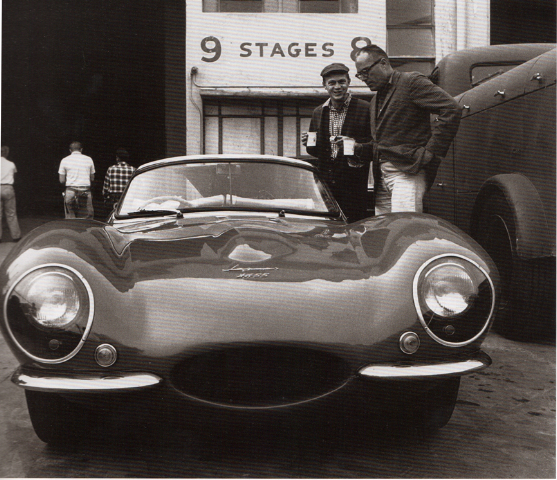 Steve McQueen showing director John Sturges his Jaguar XKSS on the MGM studio lot.